So far this year we have seen a number of games that have really excelled in giving gamers something a little different, something that feels more than a game when you come out the other side. Smart arses out there put these games in the genre of a "walking simulator" a term that drives me nuts as in no way does it give these type of games the credit they actually deserve. For me, these games are more an experience of sometimes wonderful story telling. Sure they lack any sort of actual playing of the game with your quest to just reach the end to get an answer, but by the end of them, they always leave a mark on you. An experience is something any reviewer will always struggle to get across to a reader of their work without tarnishing that game for the player who will then go and buy it. While this review might lack key moments of my time with the game, that in the long run is so you get to enjoy and get the same feeling I did when I finished it. 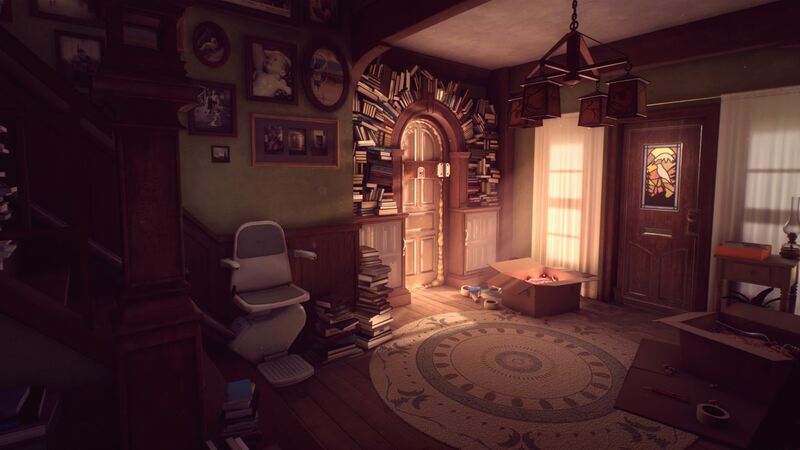 Without going too deep into the story, you play Edith Finch, a 17-year-old who is given a key to the old family home by her Mother in a will. Edith goes out to explore this magical looking house and puts together the last few moments of the Finch family in a family-tree book that she carries. Each family member has some sort of odd ending to their life over the years. What follows is just some wonderful story telling, with each family memory you take part in being just as impactful as the last. I was worried going in (not knowing anything about the game) that this game was going to be one of those games that gave you a scary house and just sat back giving you jump scare after jump scare. One family member does have a section that does raise the tension a little bit with the basement being involved in it and having a Tales of the Crypt vibe to it, so might put wimps like me on the edge a little when having to play it. Other than that it's getting to know a little about each Finch and finding out how their lives came to an end. While I've really loved this game, I can also understand that it might not be everybody's cup of tea. First up we have the cost of the game and the amount of playing time it gives back. Coming in at £15.99/$19.99, the game offers the player about a three-hour experience, with no replay value to it once you've finished the game for the first time. Then, of course, we also have how much as a player you get to take part in the game, with you only really pushing a direction or pressing a button here and there, so is the gaming side of this really worth forking out the cost? Achievement hunters will lap it up mind you, what with the game being one of the easiest (yet enjoyable) 1000 gamerscore games currently on the Xbox One. 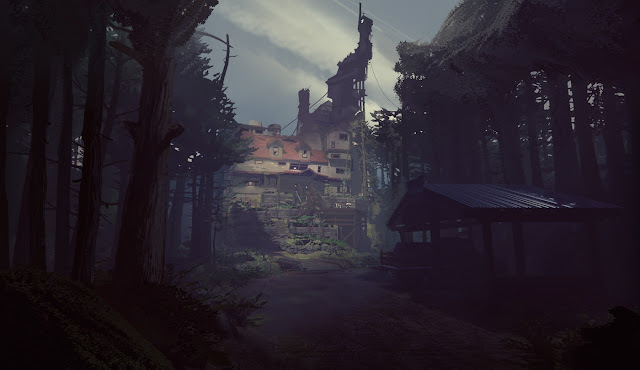 Overall: What Remains Of Edith Finch slips into a slot right next to experiences such as RiMe, with the game keeping me deeply invested and interested with the stories being told to me all throughout the game. I've not touched upon how well the music used also adds to the game, and the game also being pleasing on the eyes too. Edith Finch is a game you need to experience without knowing what to expect. So read nothing on it after this review and just go buy it and play it. Today I start a little series on here where I have a little play with 1 of the 21 characters available in the massively addictive game that is Overwatch. Today sees me show off the opening intro, as well as playing a game with the character known as Reaper. He falls into the offense side when it comes to character selection, and is great if you enjoy a bit of right in your face combat. Reaper like the other 20 characters in the game has a few specials to play with outside of his standard weapon. Not only do his standard Hellfire shotguns pack a mean punch at close quarters, but he also has Wraith Form (invincible for a short few seconds but not able to shoot), Shadow Step, which is a fancy way of saying teleporting from one place to another, and finally we have his charged special known as Death Blossom. This special sees Reaper spin around for a few seconds while unloading his deadly shotguns, killing anyone who is stupid enough to get in the way. Over the last week or so, if you're anything like me you've been pulling your hair out trying to get your Now TV app to load up and not had much success. Like me you've been met with nothing but an error code and a timed out screen, and no real help on how to fix it. I'm sure you've tried to reinstall the app, hard reset your console, the lot. Like I said I've been there, so was bloody annoyed to find out how easy it is to get the app to work, which I did so for the first time this very morning by doing the below trick. Before I pass on this nugget of information, just so you know MS and the guys behind NOW TV are aware of the issue and are working on a fix. Use this trick for now though so you can get use of the passes you have paid for with your hard earned cash. Step one: Turn on your console and sign out of your Xbox Live account. Games these days are deeper than ever before. Gone are the days of most games offering the happy go lucky cute games we played in the past where everything was rainbows and happiness, with games these days more than happy to delve and dig deep when it comes to subjects that many hate to speak with others about without feeling some sort of shame. Even though many of us are perhaps going through the same sort of thing, only we hide it too. Stay was one of those games that I only found about recently upon getting an email about its release and posting about here. So I went in not really knowing what to expect from it, only from what I saw in that email seemingly being a cool idea and concept before playing.